A is for Apple. A bad apple. Jack has spent most of his life in juvenile institutions; he's about to be released with a new name, new job, and a new life. At 24, he is utterly innocent of the world, yet guilty of a monstrous childhood crime. To his new friends, he is a good guy with occasional flashes of unexpected violence. To his girlfriend, he is strangely naive and unreachable. To his case worker, he’s a victim of the system and of media-driven hysteria. And to himself, Jack is on permanent trial: he struggles to start from scratch, forget the past, become someone else. At a time when the privacy of the individual is under threat from all sides, BOY A raises fundamental questions about the morality of the media. If I hadn’t come across Mariel's review, I’d probably never have found out about this chilling story. To my surprise, it won multiple literary awards and was adapted to film. I really need to get out from under my rock more often. Boy A is Jack, newly released from prison for the brutal killing of a young girl. He was a child himself when the crime occurred. Now he is 24 years old and trying to adjust to a world that has passed him by while he was imprisoned. This story is not an exploration of the criminal mind, or about life in prison. It is about Jack’s life as an adult living under an assumed identity while he works, makes friends, and finds love. Jack has the support of his “uncle” Terry, who helps him adjust to life on the outside while protecting him from those who would not let him live his life if they knew about his crime. I am reminded of Walter Mosley’s Always Outnumbered, Always Outgunned, a gripping story about a black man released from prison for a murder he committed while in a jealous rage. This story is different, because the man is an adult when he killed. There is no awkward transition between childhood and adulthood. He must live the best life he can while enduring poverty and prejudice. Because Jack was a child when he killed, public outrage and media hysteria are at its worst. It is not enough for a criminal to do his time. He must pay for his mistakes the rest of his life. 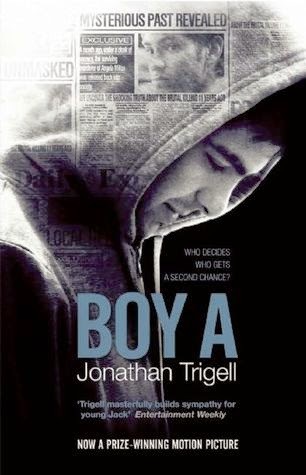 While Boy A is Jack’s story, it is also a commentary on the inadequacy of the prison system, how media can damage lives, and the influences parents, friends, and others can have on impressionable young lives. I want to believe that Jack made it to the boat safely.